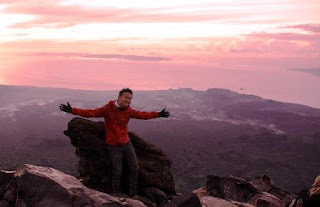 The combination of an extremely compact tour between Bali Agung Trekking in Bali is very challenging with Ijen mountain trekking are very famous for its beautiful lakes and craters. For those of you who like a challenge and do not have much time, this tour is a great fit for you. 19 Dec 2012 : 12 pm leaves from ubud to Pasar Agung starting point if we starts to the trek of Mt. Agung. 20 Dec 2012 : start to the trekk at 00:30 in the morning going to the summit. At 05.00 we will arrive to the summit. We will back to the parking place. Arrive arround 11:00, we drive directly to go to the Gilimanuk harbour, lunch will serve at local restaurant. Arrive at Ketapang/Balawan overnight. 21 Dec 2012 : At 05:00 start to Paltuding and trekking aroud 6km go and back. And than driving back to Bali/Surabaya. 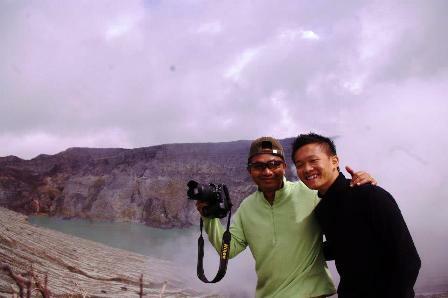 Bali Agung Trekking and Ijen Trekking Tour is finish. Price included: ac coach, local guide, entrance fee, ferry ticket, 1 N standart room at Ketapang/ Sempol, 4WD in Ijen, Mineral water during the trip, local snack, 2x breakfast.